BBC One HD launches tonight at 7pm with The One Show the first show to be broadcast on the new simulcast channel from one of the world's best known brands. 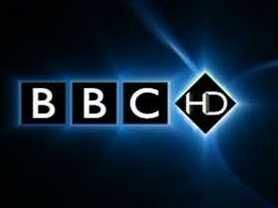 Although BBC HD has been running since December 2007 (after a successful trial in 2006), it has always been a selection of choice cuts rather than everything on the channel. That is now changing, with the eagerly awaited arrival of BBC One HD, a simulcast channel – meaning that everything from nature programmes to Eastenders will be upscaled or filmed in HD. Back in May, when the channel was announced, the BBC's Danielle Nagler said "I'm delighted that the HD simulcast of BBC One will become available on satellite, on cable, and now also on Freeview's new HD service. "This is a key moment for us on the journey to HD becoming the norm for all our programmes and channels." The new service will also be remembered as the reason for the big fire in popular soap Eastenders – who decided that the old sets were only SD-ready so created a storyline that, literally, brought the house down. The One Show is the current affairs programme made famous by Christine Bleakley and Adrian Chiles – and only the most cynical would suggest that the Beeb waited until the craggy West Brom fan left before taking the channel HD.